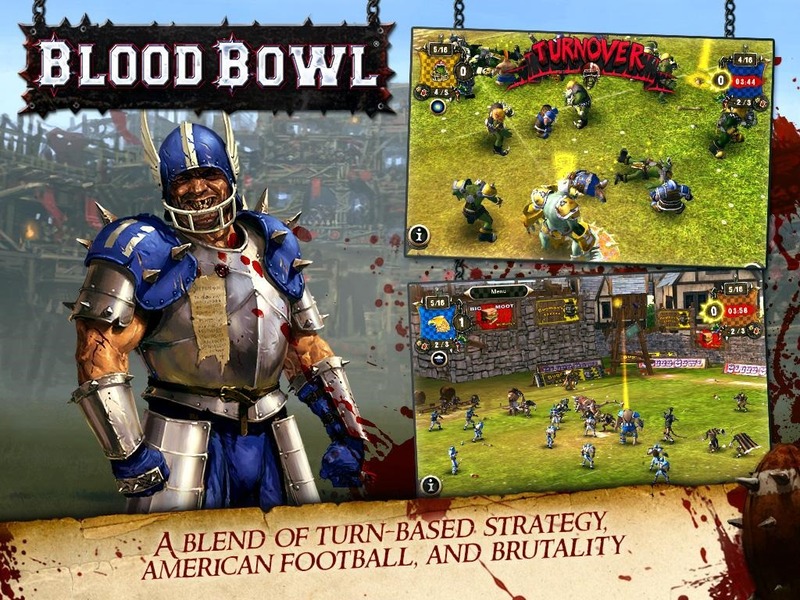 In Blood Bowl, you field a team of 11 muscle-bound brawlers. 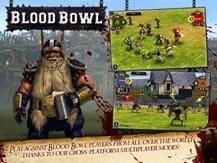 Each action taken on offense or defense is handled in two-step turns that strategy RPG fans will be familiar with. 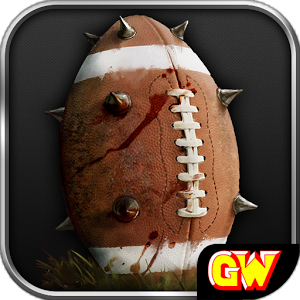 Standard football moves - running, passing, tackling - take the form of "attacks," each one of which is played with a virtual dice roll against the opponent to determine its effectiveness. Special moves take the place of spells, and can turn the tide at crucial points in the game. So it's more like Final Fantasy than Madden, though the game doesn't exactly take itself seriously, since the players, fans, spectators, and even announcers are all leaning heavily on fantasy tropes. 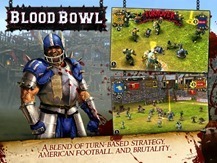 Blood Bowl's mechanics of play, team layout, and progression are a bit baffling to start with, so it's a good thing that the game has a full tutorial. 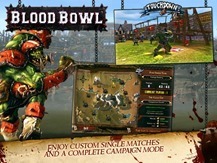 Players can advance through the single-player campaign or take their skills online in cross-platform multiplayer. 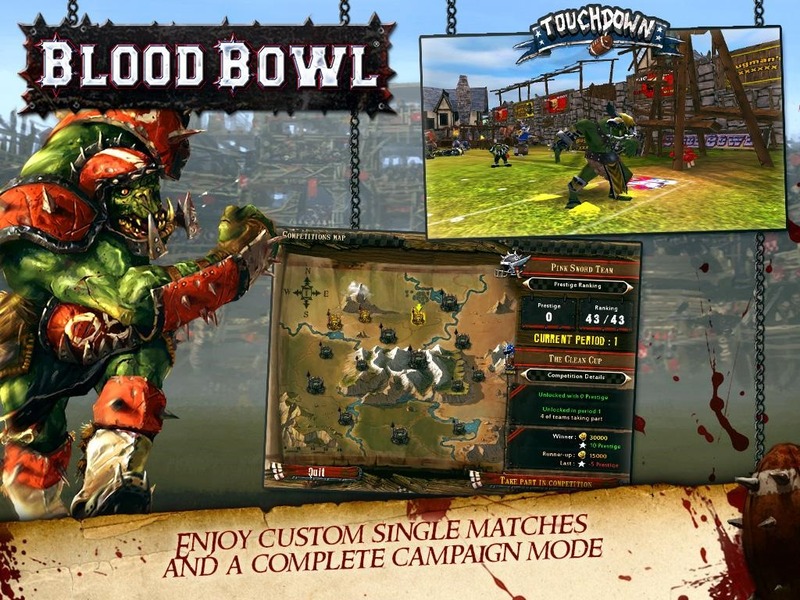 Blood Bowl is a premium $5 game, which makes the included in-app purchases for four out of the six playable races more than a little frustrating. Also note that the game seems to be limited to tablets, though to be fair, the interface would be even more problematic on a phone.